George Podesta wrote in 1853 that Westmalle Abbey made the best beer in Belgium. Some may think that was a one-off, or fluke, but a book written six years earlier by an Englishman said the same thing. It chronicled an extended visit to Antwerp which took in also Westmalle Abbey and Brussels. The Englishman was writing only 11 years after the fathers commenced brewing operations in 1836. The book is Antwerp. A Journal Kept There. While running over 200 pages, it is anonymous, as was frequently the custom then for this type of writing. The author was well-born, and I’d guess in his 20s judging by the context. He indicated that he traveled in company with relations who were a “lady and gentleman”, possibly his parents. The book is not a travel guide of the Frommer or Lonely Planet type, nor is it a formal economic or historical study. Essentially it is travel literature. There are many interesting nuggets. 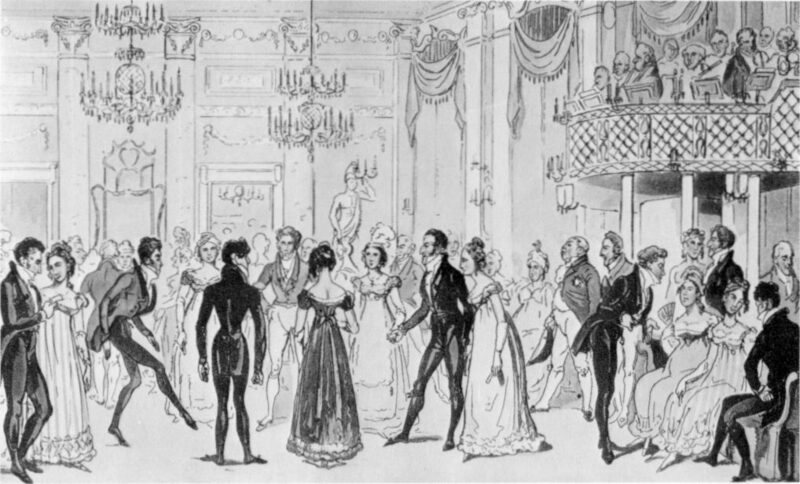 He wrote that well-born visitors invited to dance at balls were introduced to young ladies as potential partners. So popular were the ladies’ services, they would note the request in a “memorandum“, and frequently respond (I paraphrase), “I can’t do it Thursday, not Friday either, maybe Saturday, I’ll get back to you”. Another interesting remark is a story he relates of a friend travelling with his Yorkshire-born servant in nearby Holland. The friend calls for the man to attend him, but he is nowhere to be found. When he searches the hotel where they were staying, the tardy valet is finally located, he is among a group of “hotel people” (Hollanders), regaling them with funny stories and all laughing up a storm in Dutch. The astonished master asks him, “How do you know Dutch?”. The attendant responds, “Sir, I never larned nothing of the sort, but bless ye, Sir, it’s nothing but bad Yorkshire”. The author of Antwerp goes on to give a short list of English and Dutch words to show many are essentially the same, e.g., mother is moeder. (Moeder sounds the way someone from Brooklyn, NY would pronounce mother – but then the Dutch founded New York…). The dinner then on the table consisted of potatoes, Brussels sprouts – a delicious vegetable – eggs, brown bread cut into very thin slices, butter, cheese, and beer, all excellent of their kind, particularly the beer, which is the best I have tasted in Belgium. On this trip as I said, he spent considerable time in Antwerp, and therefore surely tasted brown barley beer and probably other kinds. He also frequented Brussels, where he would have tried sour beers and possibly others again. So while he didn’t have the familiarity George Podesta had of Belgium – Podesta was an Italian-born writer who called Belgium his second home and had written of the country earlier – his opinion must be given weight. This is especially so because it came from an English pen and the English knew beer, especially then. Note re image above: This Victorian ballroom illustration is in the public domain and was sourced here. It is believed available for historical or educational purposes. All feedback welcomed.